Influenced by comedians like Dave Attell, Joe Rogan and Dave Chappelle, this album is a perfect balance of dirty, dark and subtlety smart. Hello, my name is Joey Vincent and this is my album. I've been a stand up comedian for 8 years and this is my very first professional release. I've worked hard on it, and I'm very proud of it. 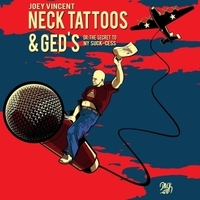 If you like standup comedy that is a little dirty, sometimes dark but always funny, give this album a try. it can be found on iTunes, Stitcher, Spotify, TuneIn, Google Play and many other podcast platforms. Thank You and Keep Seeking the Truth!